The above link is to a new article entitled, "7 Discernible Signs the Spirit of Poverty Is Attacking You." I have never heard of the author, Dr. David Williams. His bio sounds nice. Over 30 years as a pastor, over 500 outreach ministries, and over 40 million dollars given to missions through the church over his many years of service. Assuming these missions and ministries were presenting the correct Gospel, this is all very commendable. This article however is not. 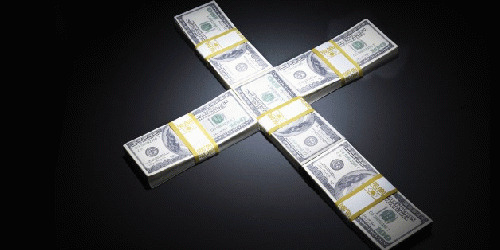 It is more of the pro-money arguments that continue to infect the church at large today. When people ask me if I think God wants them poor then my answer is yes. If that is the question on your mind and in your heart the answer is a resounding yes because wealth has become an idol unto you. I understand where we get it from. Most in church "leadership" still present wealth as something to pursue despite the numerous warnings in Scripture. This article summarizes some of the faulty thinking that continues to lead to false teaching within the church today regarding money. Let us reason together beloved as we go through Dr. Williams' arguments.